i got sick, laura got sick...not a fun way to spend our last week at home, but i guess its better than being sick on the road. we've still managed to have a good time this week. Sunday on the Town was great fun. we ate some great food...let's see, Sonterra had a scallop on a bed of spinach with a demiglaze, Melting Pot had a small dessert sampler, Phantom Canyon brewing had Porter Ice Cream, Jack Quinn's had shepard's pie, but by far the best was The Famous Steak House....bacon-wrapped tenderloin tips over french fries! wow. they really went all out, more than i can say for some other restaurants. we actually didnt buy anything at any of the stores, despite the discount, until the last stop, Edifice. we did enter all the drawings, but havent heard anything back, so i guess we didnt win any gift certificates, baskets, or bags. Edifice is an independent art gallery that also sells designer vinyl, and we got laura started on her own collection with the I'm French series from Dunny and City Folk from ScaryGirl. Frank Bauer, who designed the infamous Pringles can, died this week, and was so proud of his design, that his ashes were buried in a can. which begs the question: which Pringles can would you want to be buried in? i think i'd have to choose Original or Salt & Vinegar, but in a special promo can--maybe a UK Revenge of the Sith can. so how about Obama? wow...i'm glad that the campaign-for-nominee portion is over. right now i am leaning towards Obama. i think we're due for a change. a little vision and hope is long due here. McCain seems like more of the same. of course this could all change with the announcement of running mates (ahem, hillary), but it will be nice to see how Obama & McCain differ and what their true stances on political issues are now, now that they can focus. I bought a used 2015 Ford Fusion Titanium earlier this summer and didn't realize one of my rear subs was blown until after purchase. The Sony replacement through my Ford dealer was $80 for ONE, which seemed a little high. I scoured the internet for hours trying to find an affordable/better replacement, which is harder than you think since the original Sony speakers (BG1T-18971-CA) are 2.3 ohms (30w). Evidently, 2ohm subwoofers are a rarity. I called a couple audio shops in town and they had never even heard of them! I also did not want to replace true subs with a 3 way speaker. I think I tried to do too much with this. I wanted something in pop culture colors, but then went with real-world weathering/rust effects. I still don't know what to do with the attachments. I'm not digging the gold color. My next one will be purely one color with decals. Maybe bright green. 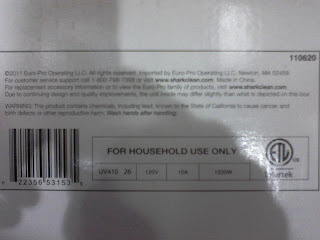 It reads: WARNING: This product contains chemicals, including lead, known to the State of California to cause cancer, and birth defects and other reproductive harm. Wash hands after handling.